Posted on March 25, 2013	by Derek "Gamer Crash"
Watch_Dogs has always been a game that has really intrigued me since it’s reveal at E3 last year. While the layers are slowly being peeled back about the title as we head towards its end of the year release, Ubisoft brought the open world action game with them to Boston this year, only it wasn’t playable. For those of you who missed out or couldn’t attend, let me clue you in on what was seen behind those closed doors. Who watches the Watch_Dogs? Well for this past weekend, it was me. Inside the theater, attendees were treated to two videos with an overall time of 10 minutes or so. The second video was pretty much the Playstation 4 gameplay demo only this time told through the eyes of the ctOS system and the Chicago government rather than from Aiden Pearce. There really wasn’t a ton of new information outside of the multiple hints that other players were watching the main character during his gameplay through the various camera systems around the world. It was pretty vague but I get the feeling that the game will have some sort of multiplayer aspect that bleeds into the core experience. It’s also hinted at that the PD is aware of Pearce and his ability to hack into the ctOS system at will to use various government programs including the police database and the other hacking abilities he’s already shown. This also means that you’ll be able to manipulate and influence the actions of basically anyone in the world as shown off by Pearce intervening on a man about to kill his ex-wife. You could have just easily walked right past, ignoring this event if you show chose to. And no, these events are not scripted as they take place in real time whether you care to jump in or not, which impressed me. The folks in this world are affected by your actions and you can choose to help or harm them. That car accident you caused? Feel free to step in and save the people now trapped in that car…or not, it’s all up to you. 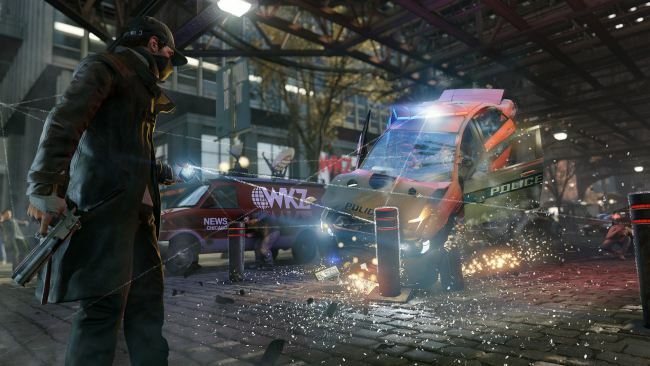 The Ubisoft team also said this awareness will affect the game world based on the actions you choose to take. In terms of story, it appears that Pearce’s family is placed in some sort of danger which forces his hand. He’s also monitoring them 24 hours a day without them knowing in order to protect them. No other details were given but I’m personally happy that there seems to be a deep and rich story helping to drive the action on the screen. The first video was essentially a sort of developer diary where various members of the team spoke about their vision and ideas behind the game. The big reveal for this video was that the team was working on allowing players to access the game through many different ways including mobile devices. Perhaps this links back into the player/thing watching Pearce through the cameras in the main game? Also leading into the game’s theme of inter-connectivity is the fact that you’re being watched as I mentioned above. There’s certainly more than meets the eye behind this title and I’m thinking E3 is a good place to finally show it off. 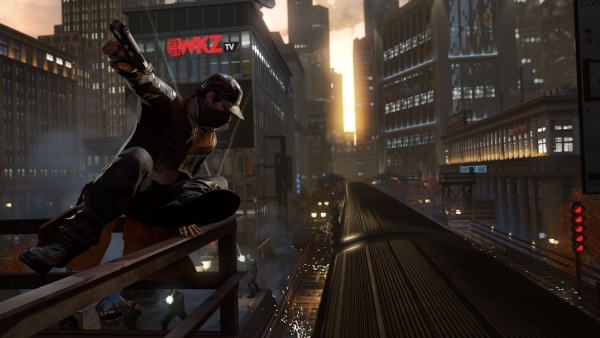 While the videos didn’t show off anything really new, it was still damn impressive and reaffirms my hopes that Watch_Dogs will be that break out new IP for this year. I still don’t know how a game like this can exist on current generation consoles due to the game’s scope and overall technical needs, but gamers can expect to see this on almost everything when it’s released later this year. I personally can’t wait to get my hands on this one. This entry was posted in PAX East 13 and tagged games, PAX East, PC, PS3, PS4, Xbox. Bookmark the permalink.